Today I’m excited to be joining a group of over 35 talented bloggers who are also touring through part of their home ready for fall. 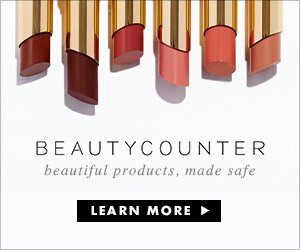 Welcome to those of you coming from Amber Tysl’s blog! Wasn’t her fall decor so beautiful?! I always love seeing what she’s done! I’ve had sooooo much to share with you already this fall (see here). I also shared my first fall tablescape earlier this week. 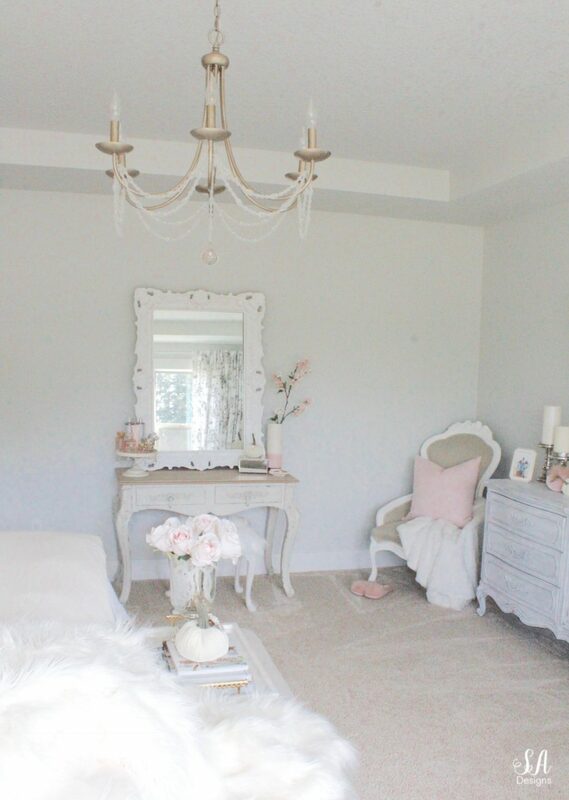 Today I get to reveal my master bedroom updates I made for fall and winter. Come take a look! Above is what my bedroom looked like earlier this spring and summer. 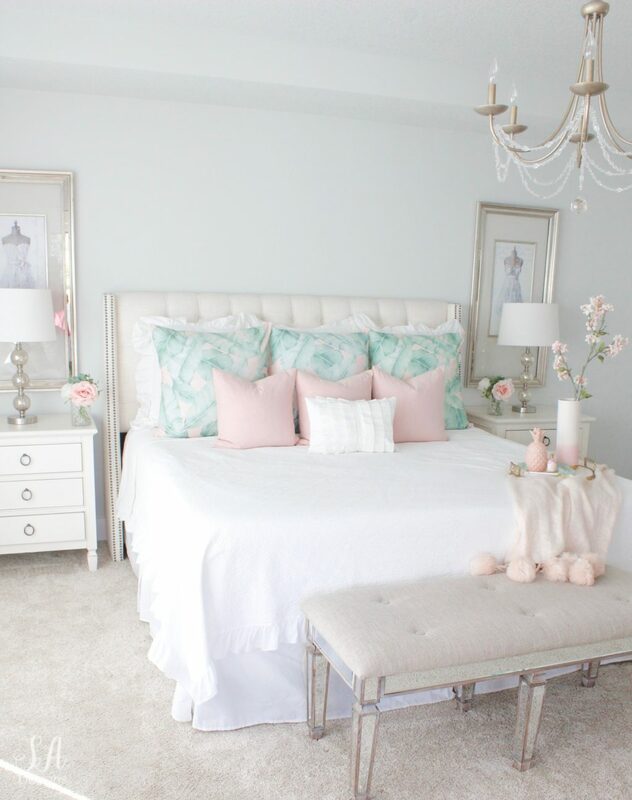 Then I decided to make another summer update to my bedroom…because I felt like it. Isn’t that always why? I wanted to do something fun, something different. Those palm pillows were so fabulous and we were getting ready to leave to Hawaii with our kids and besties. 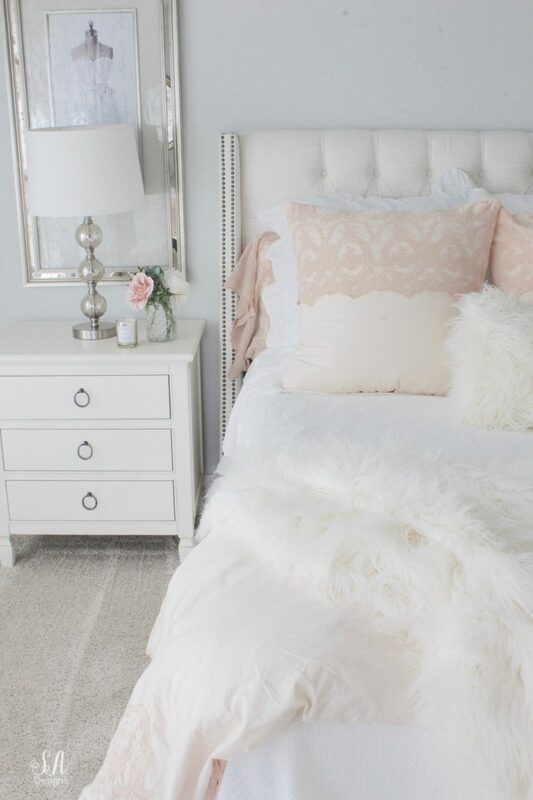 I loved bringing in more blush but this time it needed to be a bit more elegant and cozy. My friends from Pom Pom At Home asked if I’d like to collaborate on some bedding for this season and I gladly agreed, as I’ve always loved their brand. 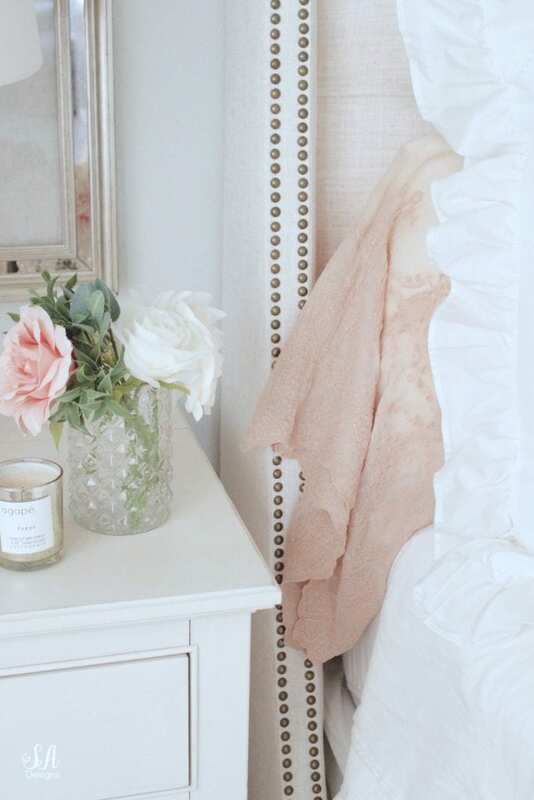 Everything they have is so soft and feminine and elegant. They are known for their high-end quality and luxurious look. I couldn’t think of anyone better to dress my bed for the fall and winter season. 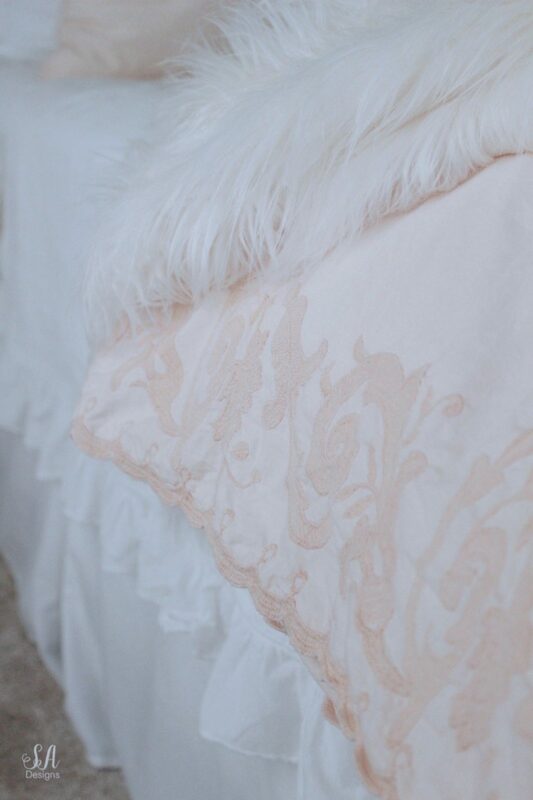 Looking through all of their beautiful bedding, I was drawn right away to the Grace Collection in the pink champagne color, with it’s feminine embroidery and scalloped edges. It’s more of a peachy-blush and I love it. Downstairs I have more of a mauve-blush so I like having some warm pinks up here as opposed to the cool pinks downstairs. 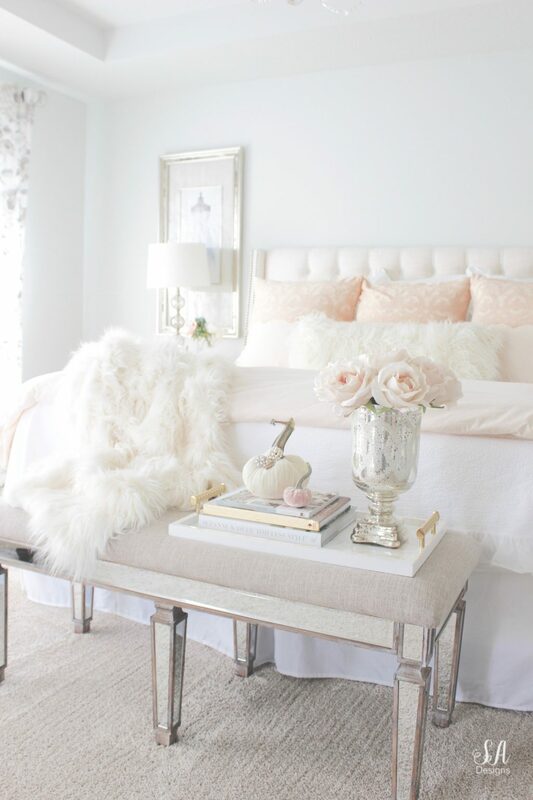 I love all shades of pink and love layering them too. The Grace Pillowcases are stunning and I love the way they drape over the edge of the bed. The matching euro shams from the Grace Collection are so beautiful with the lace overlay. I love pretty details, don’t you?! I’ll be sharing some more pictures of this bedding soon but for now, I folded the duvet cover over and laid it on the end of my bed. Since it’s fall, I love the sheet and white coverlet on me at night for a couple of hours and then as the house cools down a bit more, I end up pulling the duvet up over me. I found some pretty throw pillows that I had planned on putting on the bed but the euro shams were so beautiful that I didn’t want to cover them up at all. Instead, I added an ivory faux fur oblong pillow. I also bought the matching faux fur throw blanket on my bed to bring in those cozy fall and winter vibes. Don’t you just want to go and cozy up here?! 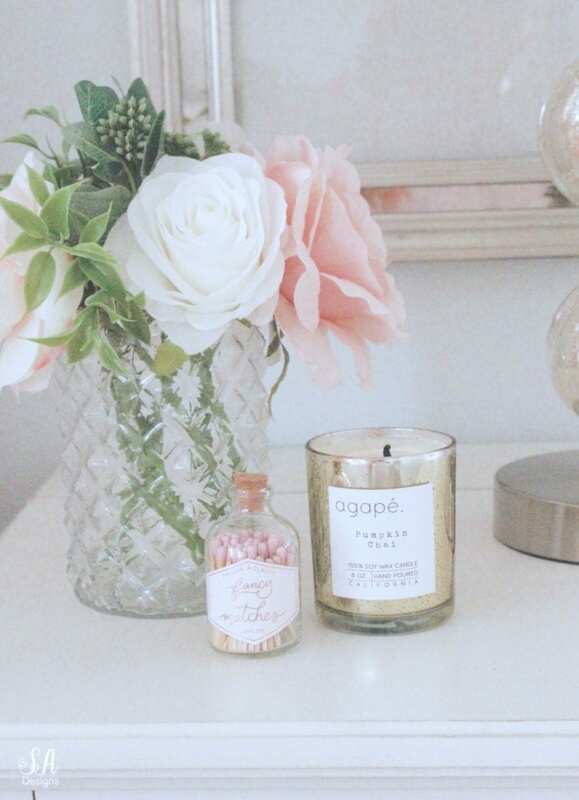 It’s especially at night when we’re cuddled up in bed watching a show and we light these delicious fall candles from Agape Candles. These are seriously some of my very favorite candles! Rachel does such an amazing job creating these different scents and they smell soooo good in our home! Pass on the popular bath company that sells candles and get hers….you’ll thank me. 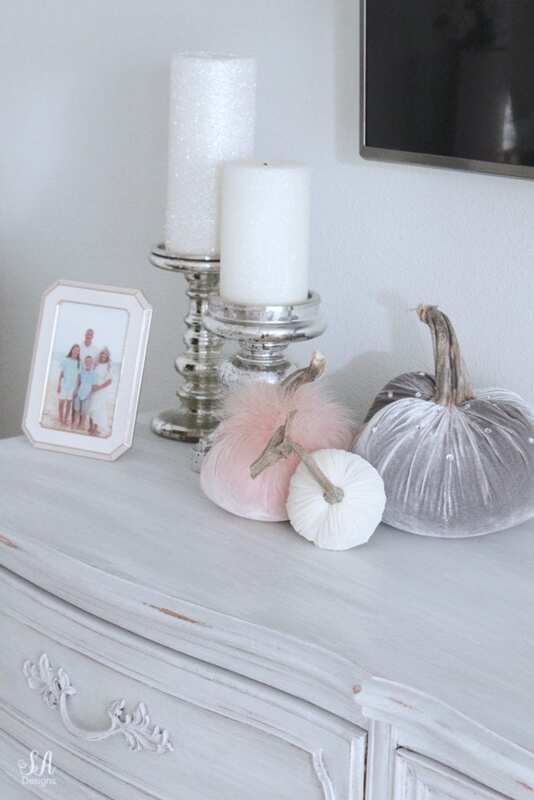 Taking this cozy romantic bedroom to another level for the fall was adding the most gorgeous velvet pumpkins around my room (and the rest of my home). One of the fabulous things about relocating our family to the Pacific Northwest from Texas this last year was getting to meet some friends I’d met on Instagram that live here also. Daria, the designer and creator behind Hot Skwash, was one of those people. I’ve been a huge fan of her creative talents and it was an honor and a thrill to go to her warehouse in Tigard, Oregon (just across the river from us) and see all of the gorgeous pumpkins and other creations in person. 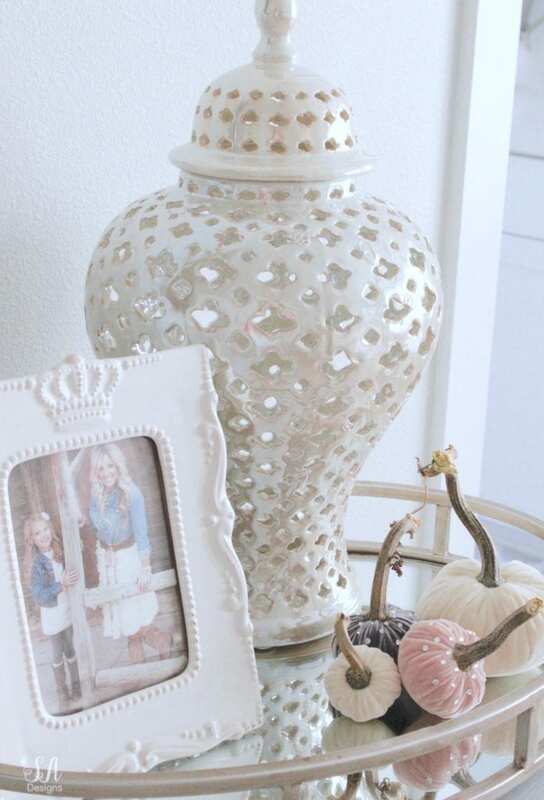 She was so gracious to collaborate with me and help me create gorgeous fall vignettes with her pumpkins. I have a few fun things in the works with her so make sure to stay tuned for that! It was really fun to see all of her custom orders in the backroom that were filled of pumpkins made with designer fabrics and even embellished with jewelry, fascinators, feathers, swarovski crystals and more. 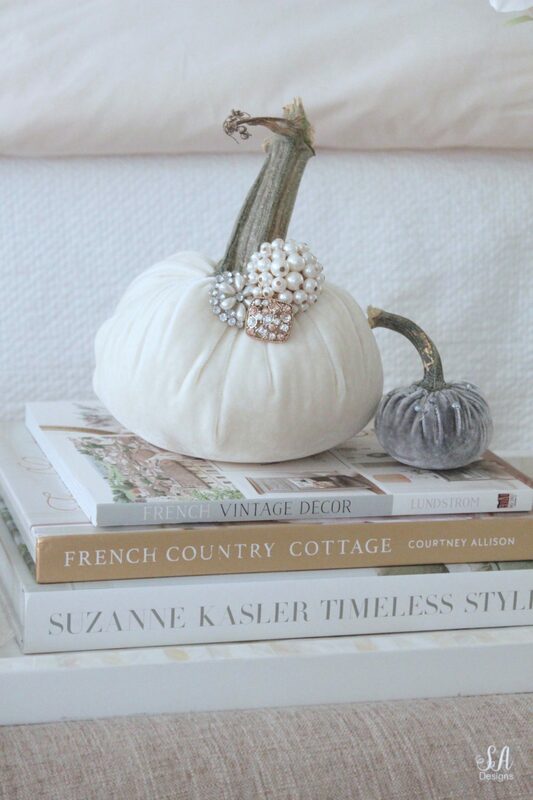 I was so inspired by those that I grabbed a few fun pieces, including a small brooch of my grandmother’s, and placed them on one of my small ivory pumpkins. Isn’t that fun?! I also placed them throughout the rest of my room. Yes, those are real pumpkin stems! Love it! 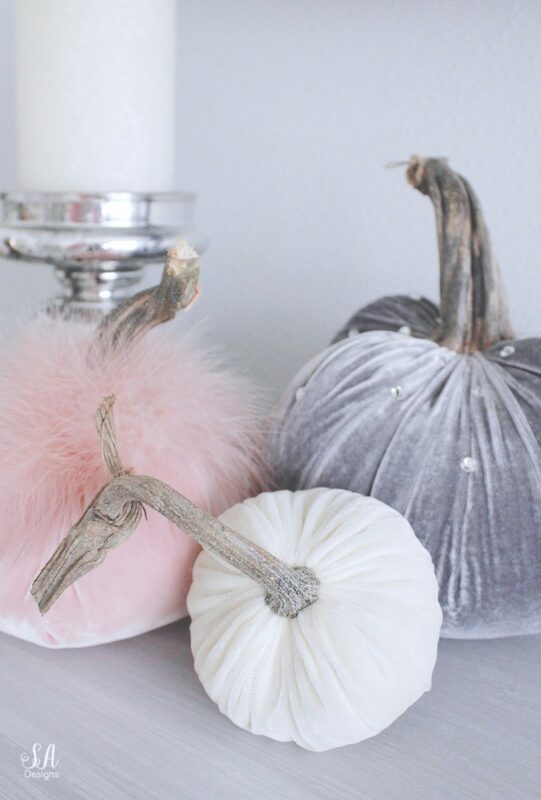 I just adore these mini pumpkins with the crystals. They’re just precious! I just find that they make the perfect romantic fall decor without being traditional colors or something you’d see in any store. It’s truly something special! I love this spot on my chaise lounge. We watch the sunset right out our windows and get to stare at all the tall trees and the horses running around. Another way I like to make my bedroom cozy for fall and winter is to use faux fur or soft plush throw blankets and drape them on your chaise lounges or sitting chairs. You can even add faux fur pieces over your benches and stools or bring in a faux fur rug to layer. Also, bring out your slippers and if they coordinate with your room and are pretty, you can leave them out and not put them away. They’ll add coziness to the ambiance. As I finish this blog post, the sun is starting to set which means I get to light the candles and get on my pj’s and get cozy in bed. Yay! Oh how I love this time of year! Thanks so much to Daria and make sure to contact Hot Skwash by Daria through the website and you can also follow her on Instagram to put together an order. 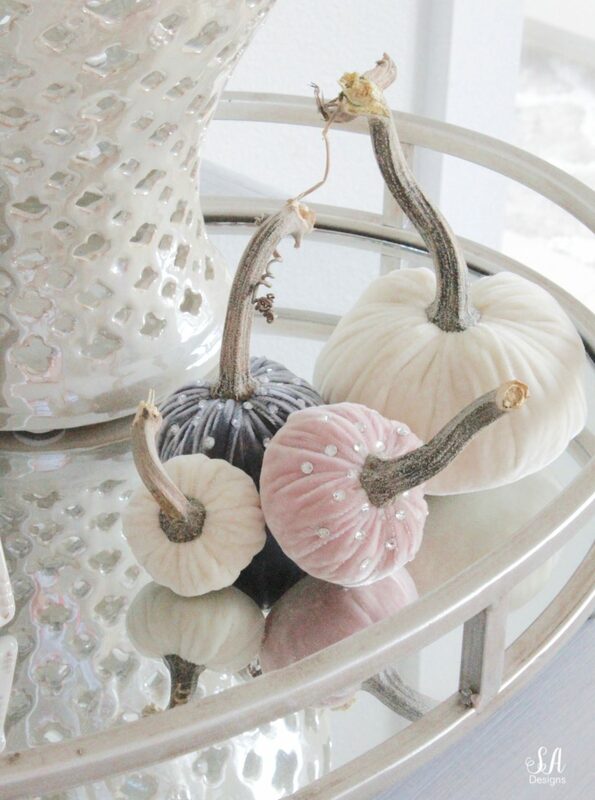 You will fall in LOVE with these pumpkins! There is NOTHING like them out there. The quality surpasses any others I’ve seen. Tell her Summer sent you! 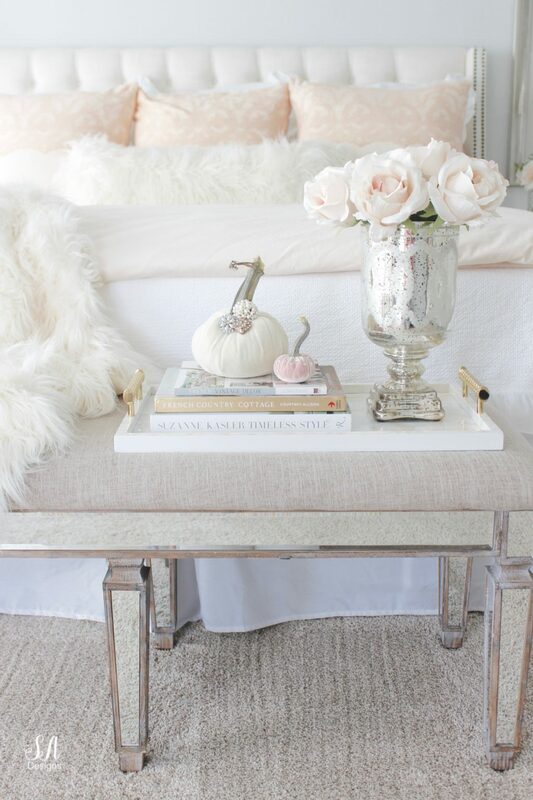 A huge thanks to Pom Pom At Home for collaborating on my master bedroom update for the fall and winter! I’ll have these items linked below for your shopping convenience! Ok, please make sure to visit all these beautiful homes BUT NEXT I’m sending you over to my friend Danielle’s home at Finding Silver Pennies. You’re in for a treat! I’m working on updating our bedroom right now, so I’m loving all of your beautiful ideas. 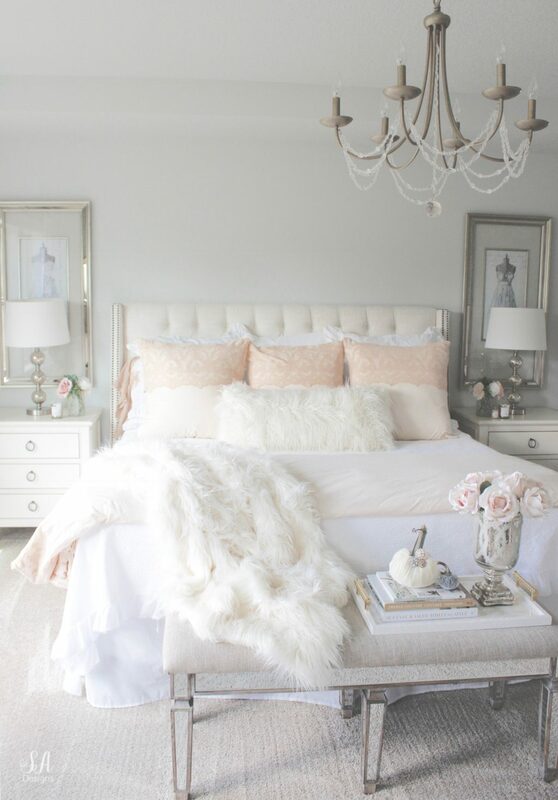 That bedding is gorgeous! So pretty, Amber! I love how soft and light it all is- and the blush is perfect for fall! Enjoy Hawaii! Summer I love the fall updates you’ve done in this room! The plush pumpkins and the new bedding really add some warmth, without straying too much from your lovely vision of white! So fun to be hopping with you again my friend! Happy Fall! 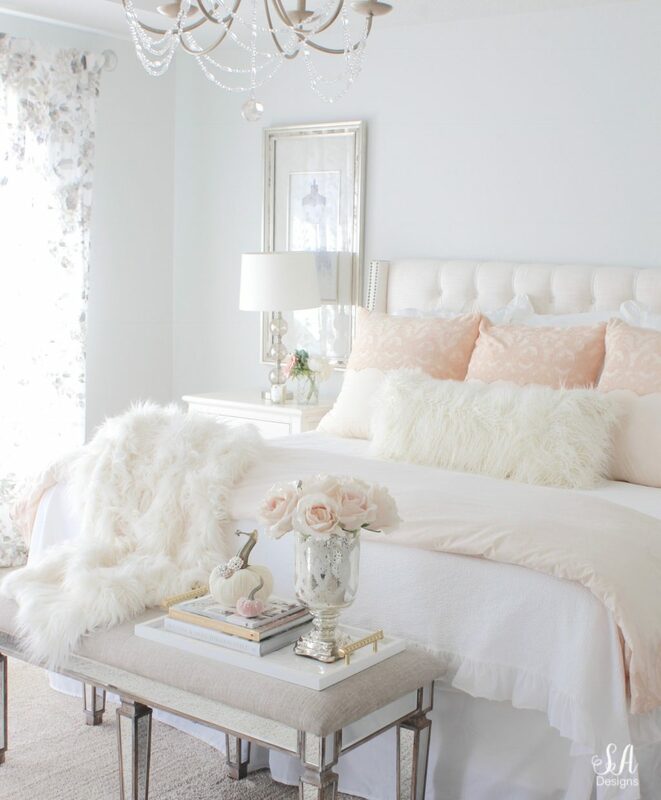 That bedding is stunning and looks perfect and your home. How lovely are those pumpkins with the crystals. Your home is always so elegant and restful. Thanks for the tour! What a beautiful bedroom! Found you on Pinterest and are addicted with pinks too! 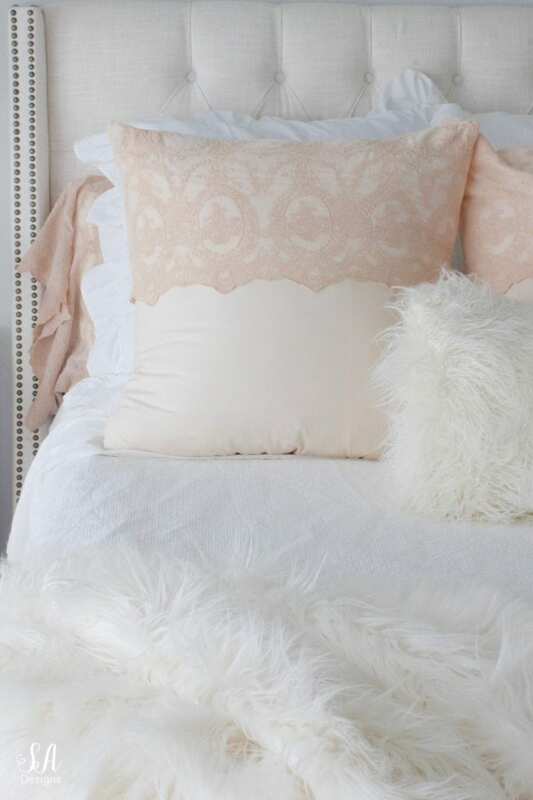 The blush from your bedding is so georgeous. A great inspiration.